The Bait Boat UK’s carp anglers have been waiting for, the Black Widow. A year in development followed by many months of extensive testing have resulted in the fastest, one of the most advanced boats available. 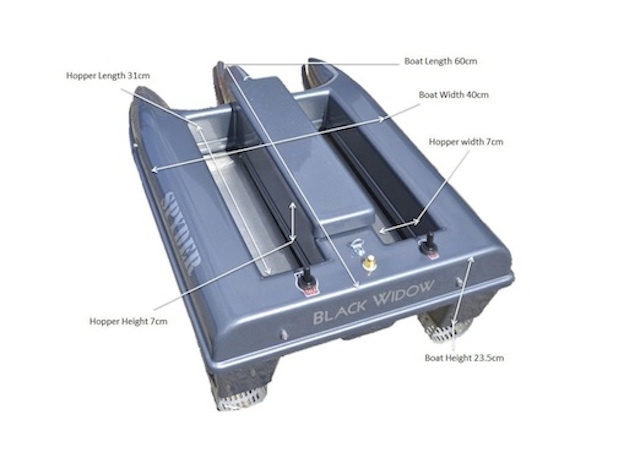 Eight years experience of testing bait boats has come together in the selection of components used in the manufacture of the Black Widow. 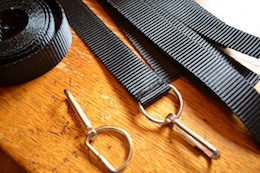 Any that we felt we could improve on, we make ourselves in our workshop near Horsham, West Sussex. Why not visit us? Open six days. Closed on the first Saturday of each month and bank holidays. For all sales, service, repairs and upgrades please contact Joe @ Baitboats solutions. Never before has the UK seen such a boat. A high quality, hand crafted bait boat unlike any other. The first propellor boat that can actually be operated through most weedy waters.Over 12 months to develop, design and pro-to type with no expense spared and no other boat compares. Guaranteed. 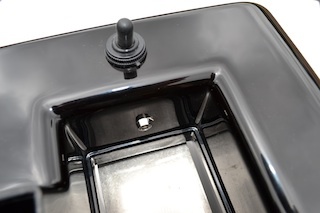 The Boat is now only available in gloss black. 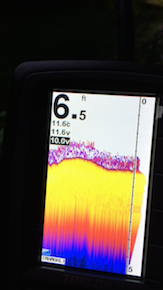 The Black Widow Boat has been developed by not just Anglers but a team of ”Radio Controls Geeks” for over a year. Combined, our team have over 35 years in RC (radio control) knowledge which is essential when creating what we believe to be quite simply one of the all round best bait boats ever to hit the UK fishing Scene. 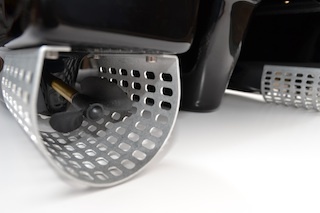 This machine has been especially designed for carp, pike & cat fishing in mind. You may see many boats being either too large or too small so this is where the Spyder boat comes in to its own. Perfect, manageable size. Features – two great sized hoppers which are capable of taking out up to 1.2 kilo of any bait in each hopper and your rig. This is the fastest boat ever made in the UK and you get up to a three hour running time per battery charge which is an unbeatable combination. Mainly down to many months of lake testing various motors, shafts, speed controllers and propellors to achieve the best speed, strength and battery consumption. Please note that now on every boat the lights are controlled via a switch on the remote handset. There is now only one switch on the rear of the boat (mains power). *The fastest bait boat built in the UK to date with gradual control. This is great when heading out at distances. If you don’t like to go fast, just ease back on the controls. 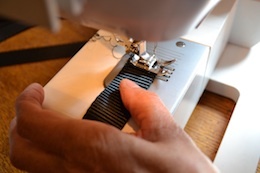 By doing so you’ll increase your boats running time by an extra 30-50%. *Up to three hours continuous running time on one fully charged battery (depending on conditions). Takes 1 x 12 volt 9amp hour lead acid battery. *Perfect sized boat, not too large and not too small. With a flawless dropper design. *Wireless operating range of over 500 metres. *Lights are now controllable from remote handset, not boat. This gives the boat extra stability for choppy waters. *Bright white L.E.D light in each hopper. For use when baiting up at night. 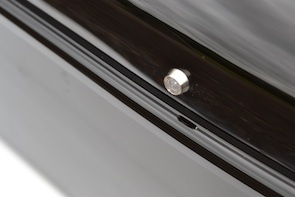 *10mm white Light on front of boat, two smaller 5mm blue lights on rear and red/green on each side. *Boats Available in acrylic capped ABS solid plastic. 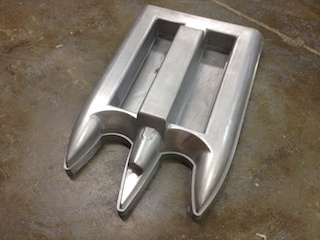 *Custom made weed guards formed from aluminium. As well as grease filled shafts to give the ultimate smooth performance. 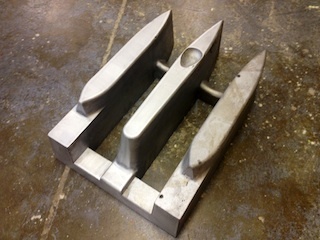 Many boat parts are Hand Crafted in our work shop in Sussex. We believe in keeping as many items for the Spyder boat purchased as close to home as possible or at least within the UK. LED’s, bezels and cabling from Colchester, Essex. Below is just some of the ‘Branded’ Components used. Two M-Troniks Viper Marine speed controllers. These are totally waterproof as well as having a failsafe built in. Known throughout the model boat world of being the best Marine Speed Controllers ever made. Extremely reliable and have been known to last for many years of hard use. Combined with precise resin gears and SMT circuitry. We do our own bit of magic to these servos before fitting to the Spyder. This isn’t hard work but very time consuming however we’re very confident in absolute reliability. Believe it or not, we have had a servo working under water! Many bait boats nowadays are controlled internally by circuit boards. In our own opinion are a Big No No. 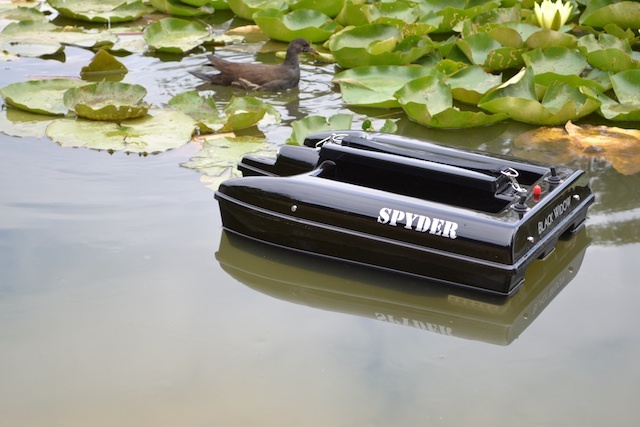 Here at Spyder we believe ‘How it used to be’ is the way forward in radio controlled boats. This costs far more to produce a boat however, is much more reliable and parts are easily replaceable/available. As you will see for yourself there has been absolutely no expense spared with these Bait Boats. It takes nearly ten hours to hand build each boat alone. Quite simply some of the best internal parts are used which means absolute reliability. Do you really need a reliable boat? For example, Bait-Boats unlike a TV or Microwave don’t just sit on a shelf. There on the move in all sorts of weather conditions all year round so these need to be made very well or faults will occur. We can honestly say you’ll be blown away by the build quality and sheer robustness of the Spyder. 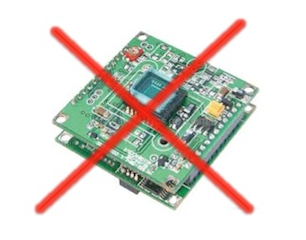 12 months full warranty including P&P charges within the UK. UK after care sales/service 9am-5pm five days. Saturday 9-3pm. Emails answered seven days. 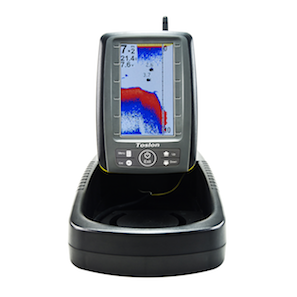 For more information on the Toslon TF500 & TF640 please see the main listings under the ”fish finder” section on this web site. We can now fit the Toslon TF640 Finder & GPS in one to a Spyder but only available on MK2 Spyders. Please note there maybe up to a four day wait for this package with either of the Toslon’s installed. We will call or email you to let you know once order is placed. 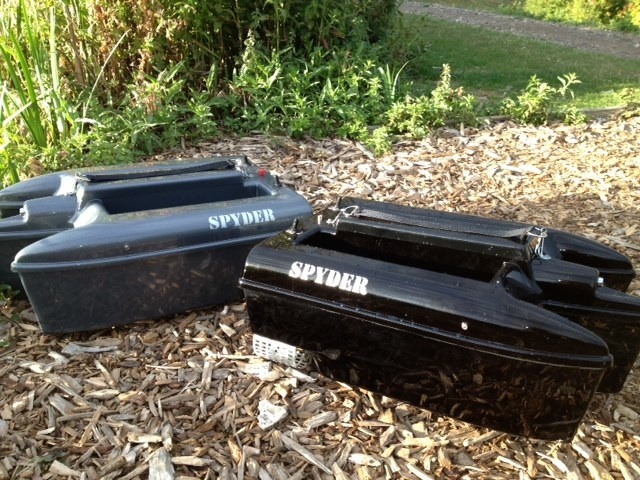 Pictures of the Spyder bait boat in this listing as well as the description could be subject to minor changes at time of sale. 7 LED’s : One large white one on the front, two smaller blue lights on the rear and red/green on each side. One in each hopper for baiting up at night. 2 x Viper Marine : Totally waterproof, regarded throughout the model boat world of being the best ever made. 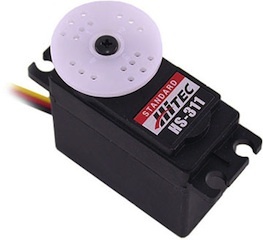 2 x Hi-Tec Servo’s : Combined with precise resin gears and SMT circuitry, extremely reliable and will last for many years of hard use.